This is a common well believed lie and it effects so many, even me. Days, weeks, sometimes months after the precious moment that you get to hold your new infant, it hits you - your body isn't the way you remember it prior to being pregnant. Why not? The baby's out now, what gives? Oh ya, because childbearing makes your body a flabby, droopy, ugly mess. Let us all bash those dark embedded belly scars, the disgustingly stretched skin and excess fat. After all, it's just a pregnant thing all of us as women have to go through right? #1 The words disgusting, ugly, flabby, fat etc. do not and cannot apply to a body that has grown a human life. A HUMAN LIFE. It has housed, nourished, guarded, protected, and covered the most helpless, defenceless, and precious of all beings for 9 months straight. How could that ever be considered ugly? If there was an institution that had been able to accomplish this task, no one would ever walk by the building calling it ugly, least especially it's owner. It would be celebrated, using correct terms like 'glorious' and 'wonderful' to give it an adjective. #3 The world is listening. Ever wonder why some women don't want to have children? Why some choose to abort? They listen. They listen to you, to me, to all of us that have given birth and how we speak about our bodies. The turmoil we go through, the unsightly scars they leave behind, the irreversible "ugly" we see ourselves to be now. They listen to the lies we speak instead of the truth we hold in our arms. They are listening, are we speaking the truth? 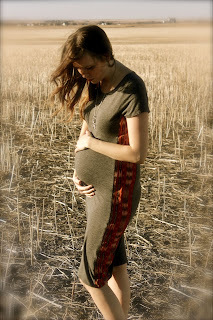 Because the truth is that having a body-after-baby is the most dazzling, magnificent, divine, and BEAUTIFUL thing we have. Even if our baby was given to another mother, or did not survive due to an unforeseen circumstance, having a body that bore life is among, if not thee most miraculous things, period (sorry men). It is noble and it is good. It is so good. Do we realize it? I know I need to. Society has ruined the most sacred, exquisite thing a body can do by spreading false rumours on it's ugliness and it must be stopped with the truth. A body-after-baby changes so much 1week, 3mo, 1 year, even 2 years postpartum. But honestly, with having such a profoundly influential scar on my heart from birthing miracles, I think I'd feel a little ripped if I didn't at least have some sort of physical mark to show for it. Heaven's slice is knowing how incomparably beautiful a body-after-baby is.